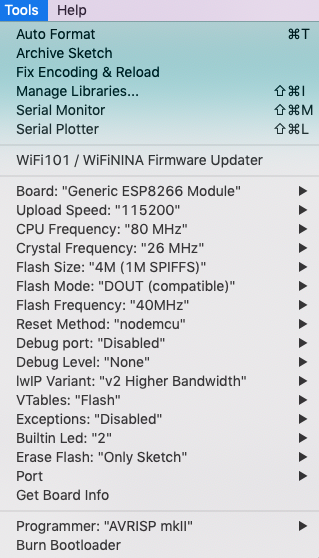 This makes it the simplest of all the ESP8266 chips to use. if you use another chip you may have to solder the legs on. Not a problem for me, but maybe a problem for you. Also to program these chips they have to be placed in boot loader mode. On some chips that involves holding one GPIO pin to ground as it starts up. Sometimes there is a button and sometimes you have to do it manually. The procedure is different for different boards. 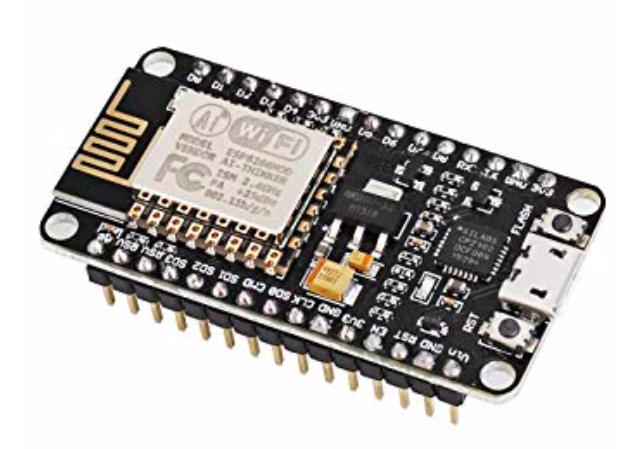 With this NodeMCU chip you just plug in a microUSB cable and run your Arduino code. It does everything for you. This chip is SIMPLE for the first time user. Next we need a reed switch. That’s a switch that when it comes in contact with it’s magnet that it flips from on to off or vice versa. As the window goes up the sensor switch moves away from the magnet and the state of the switch changes. I use these excellent reed switches. A pack of ten costs $14. Okay, I’m going to make some assumptions. The first is that if you are reading this page trying to make sensors that you are a MAKER!. They used to call us geeks or nerds, and now we are MAKERS. So as a maker you are probably running home automation software such as HomeAssistant or OpenHab or have a SmartThings hub. I use Home Assistant. Also to really make this work you need an MQTT server. I’m not going to go into MQTT servers here but they are a breeze to set up on almost every platform (Windows, Linux, Mac). Now we need the code for the NodeMCU. For this project we’re going to use Tasmota and ArduinoIDE. Go to the Tasmota Releases page and download the latest Source Code.zip file. This is just a tiny snip of the list under the release. 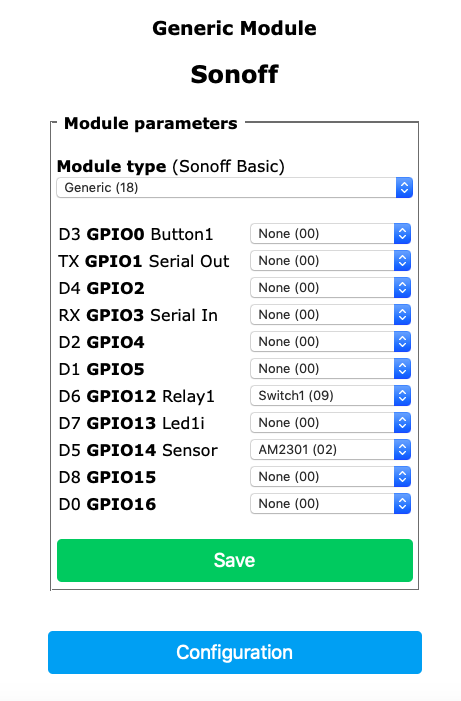 Also, download and install ArduinoIDE and install the ESP8266 Additional Boards as per the bulleted list below the screenshot on the left. Then we will be ready to load some code. 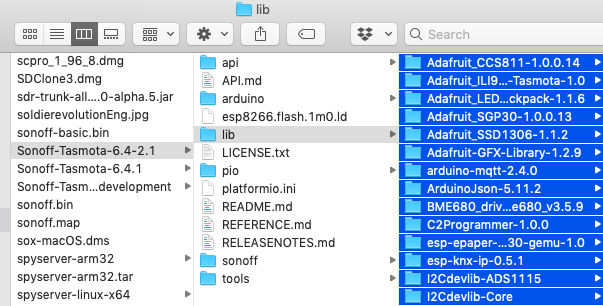 So after you install Arduino IDE and download the Source Code.zip file you need to unzip the file and move it to where Arduino can find the libraries it needs. (Also I’m working on the assumption that you’ve used Arduino before and know how to flash an Internet of Things (IoT) chip. 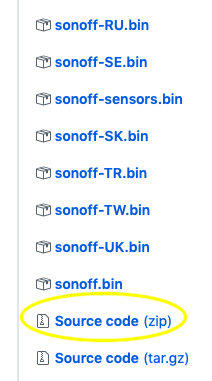 Anyway navigate to the Sonoff Tasmota folder > lib and then copy everything inside that folder and move it to the Arduino Library folder. 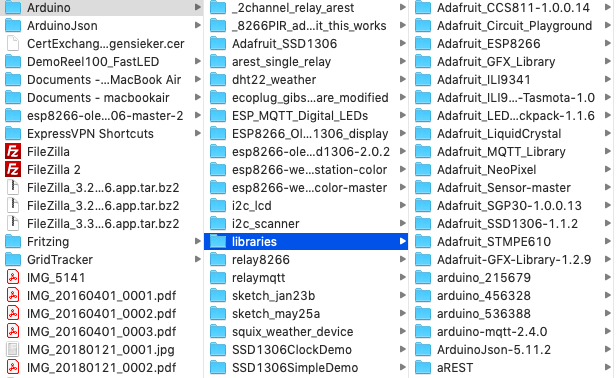 The folder location on my Mac is Documents > Arduino > Libraries. Just dump all those folders there. 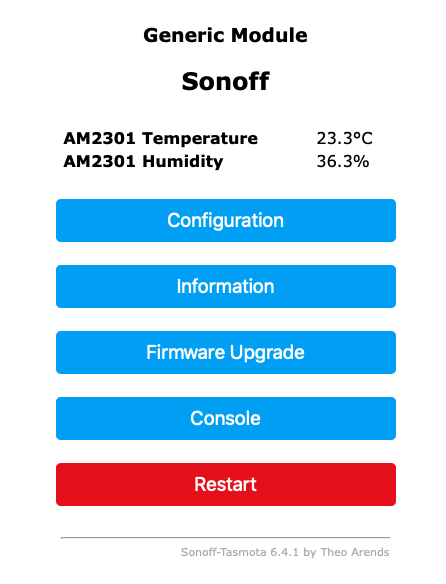 Now go back to your unzipped source code folder and open the sonoff folder and then double click the sonoff.ino file. Now click on the tab that says my_user_config.h and look through the file and add your wifi network SSID and password, also configure your MQTT server data here if you like. Then when you flash it will automatically hook up to your network and you can start to configure it. At a minimum you should add your wifi credentials, if not you won’t be able to find it to configure it. 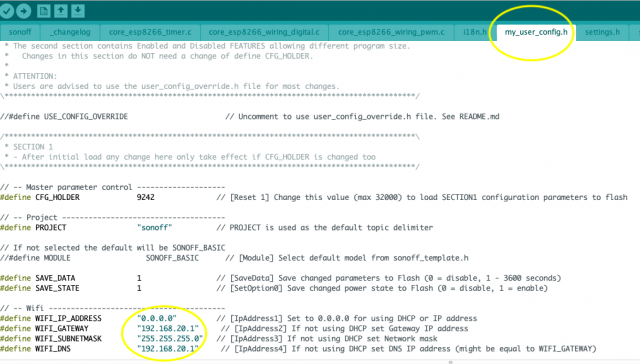 Configure your SSID, password and set a static IP address. (Mine are not visible in the pic below for obvious reasons). Also notice in the pic below I have changed the DNS address and Gateway address to 192.168.20.1 because that reflects my network details. Make sure the IP addresses match your network here. 0.0.0.0 means it will grab any DHCP address the router gives it. The only real missing piece of the puzzle here is the field labelled “Port”. Make sure you set the correct port. Now we are ready to compile and upload our code. Now go to the Configuration button and click it and then click the CONFIGURE MODULE button and set the module type to Generic (18). Heck while we are at it set the D6 GPIO12 to “Switch1 (09) and hit save. (Ignore my Temperature Sensor on D5 GPIO14, but that shows you how versatile this Tasmota is). Go back to the Main Configuration page and hit the “CONFIGURE MQTT” button. 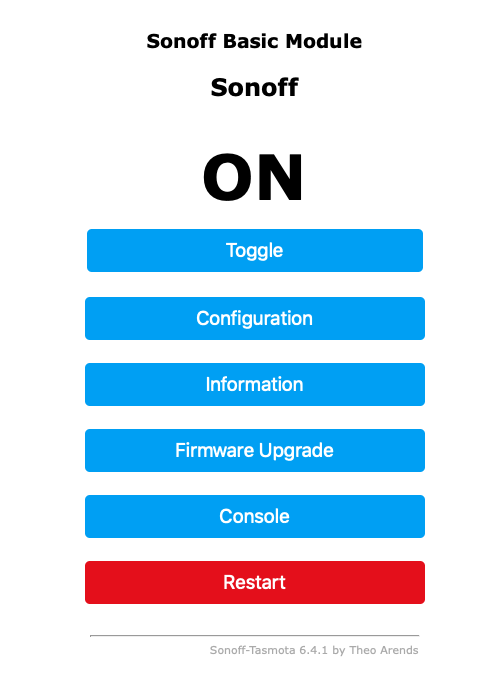 Set your MQTT server up. Again I’m not discussing MQTT servers here. Now your code is loaded and your switch hooked up. 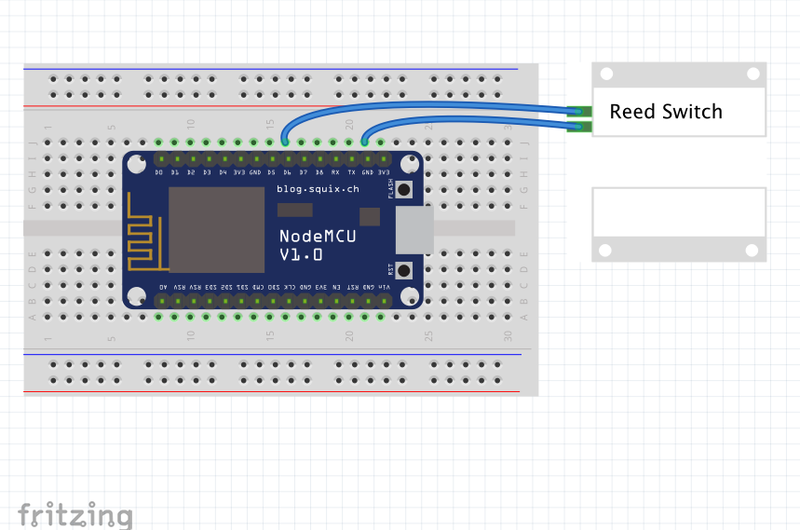 You may not see anything going on but as you move that magnet away from and back towards the reed switch your MQTT server will be getting those messages. Here’s my MQTT server watching for all my messages. You can see the switch turn off and on. That is me just pulling the magnet away from the reed switch a few times. With automations you can do the following things (and more)…….have an audible alarm go off. Have it text you, turn the lamp on in your bedroom in the other room. Turn the lights on in the room where the window opened (scare tactic). Sky is the limit here. I’ll publish some HomeAssistant code later when I get to installing this. Thanks for some really informative articles John. I played around with Lua and Micropython on my ESP8266 devices but now the Tasmota actually allows me to do something useful with a BME280 sensor. MQTT was also straightforward, now I just need to figure out what to use for the HomeAssistant on one of my Raspberry PIs.